You are here: Home / Misc. / Education / Southern Ford Dealers Embrace Diversity in Blogging. Southern Ford Dealers Embrace Diversity in Blogging. (ThyBlackMan.com) A new FORD VIP Experiential Blogging Program is starting in Florida and 3 Jacksonville Bloggers were invited to participate as digital influencers. state-wide events that FORD Motor Company is sponsoring. 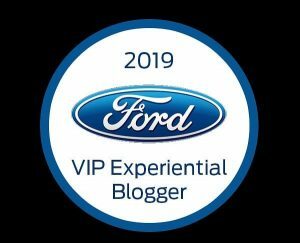 The first of its kind for FORD, 20 bloggers selected from an application process of bloggers attending the 2018 Florida Blogging and Technology Conference (FlBlogCon) held at Full Sail University. The FlBlogCon (https://floridablogcon.com/) started by Bess Auer an educator, business owner and technology community engager started FlBlogCon Orlando at a local high school. During the 8 years of growth the conference is nationally and internationally recognized as a major conference for Bloggers, PodCasters, Digital Media Innovators, Video Bloggers and other Digital Influencers. William Jackson an educator in public education has spoken at FlBlogConEdu sharing his experiences as an educator and blogger for 30 years. FORD Motor Company, a key sponsor has helped the FlBlogCon conference to grow to its international status. 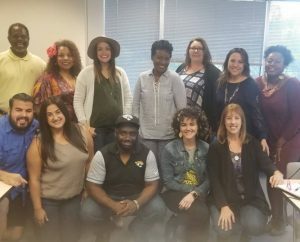 In 2018 William Jackson and Aida Correa invited students from Duval County Public Schools, Edward Waters College, Ministers from the Church of Christ and business owners from Impact Biz Jax with the Jacksonville Chamber of Commerce to attend for their first time. Showing the value of networking skills, web development and new tech careers that people of color should seriously consider. William Jackson and Aida Correa travel nationally and internationally are also involved with the technology conferences WordCamp and KidsCamp where they are speakers, organizers, sponsors and advocates for STEAM education. They involve youth in Science Technology Engineering Arts Mathematics and digital business potential. Encouraging diversity of culture in current and future digital careers. The FORD VIP Experiential Blogging Program provides opportunities for the bloggers to travel across the state and blog about their experiences with photos, text and video attending FORD sponsored family events. William, African American male, 31 year educator in public education and past instructor with NASA and Edward Waters College is the Digital Media Visionary for his brand; My Quest to Teach. Aida Correa, Latina (Puerto Rican) a lifestyle blogger, artist, STEAM advocate and owner of LoveBuilt Life, LLC. Anthony Newkirk Jr. (Devouring Jax) is a locally and nationally recognized food blogger. FORD is providing content creators of unique and diverse backgrounds opportunities to use their skills, talents and abilities with technology and Social Media to provide personal stories and observations to their local community and on a national and international platforms. Their content helps to share events, activities and venues in Florida from diverse perspectives and viewpoints and focusing on family and community. Follow each as they create content that will invite participation in the events they blog about across Florida.